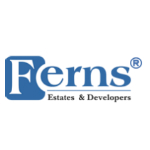 Since its inception in 1988, Ferns Estates and Developers has been a definitive name. The Managing Director Errol Fernandes has pioneered the concept of Gated communities for aspiring home seekers. Since the very beginning, all the establishments have been giving appreciable returns. It has been a highly profitable investment and looks even brighter in the future. Whether you prefer a living abode or a holiday home, we have the right choices. Not just Bangalore residents, a substantial number of NRIs and other city residents have benefitted by investing in Ferns Estates. In a city like Bangalore that is inclined towards apartments and independent homes only, the concept of ‘Gated Communities’ has opened new avenues for home buyers. The most discerning home seekers are welcoming this innovative concept that offers paradise abodes. We intend to locate our developments at balanced locales. We seek apt locations that are reposing in natural solitude while being in reachable distance from urban places. Benchmarking with International standards yet maintaining the essence of Bangalore, Ferns Estates makes the layouts. Dedicated to the vision of providing comfort nests, Ferns Estates looks beyond the mechanical aspect of construction.